Lost a fight with onion rings . . . So I know eating fried food is never a good decision when you have IBD, but whenever I visit my mother she never has safe food for me to eat and I was too broke to buy anything. Late in the evening I was still hungry and didn’t think the frozen Nathan’s onion rings that I’ve had before would hurt, I was soo wrong. After 20 minutes my stomach was sooo tight and I felt so nauseous. 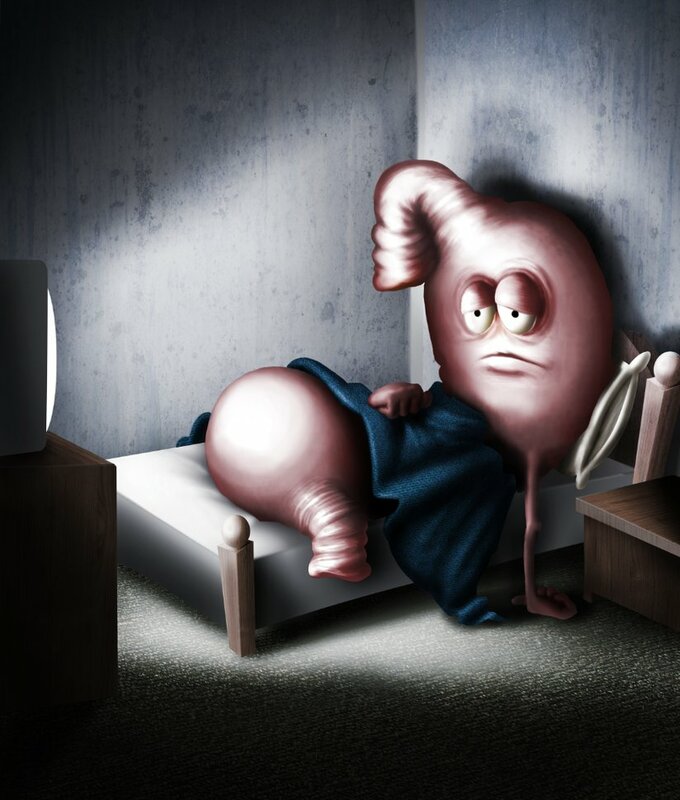 Then the stomach cramps started, I felt miserable for a good 2 hours. Exactly a week later I had my first experience with food posioning. Now as I sit waiting to see my GI for a follow up and realizing I’ve been on Humira for 7 months and still have symptoms, I’m starting to wonder will anything work? Lies . . . Lies . .. the Lies I tell! After a very stressful week the new boss took me and my coworker out to lunch last Friday. I was asked by both where do you want to eat, I just said it doesn’t matter. Since I work in a very corporate and fancy area I was pretty sure all restaurants in the area had a variety of items on their menu. Then my co-worker mentioned Maggiano’s, I said sure and told my boss we wanted to go there. 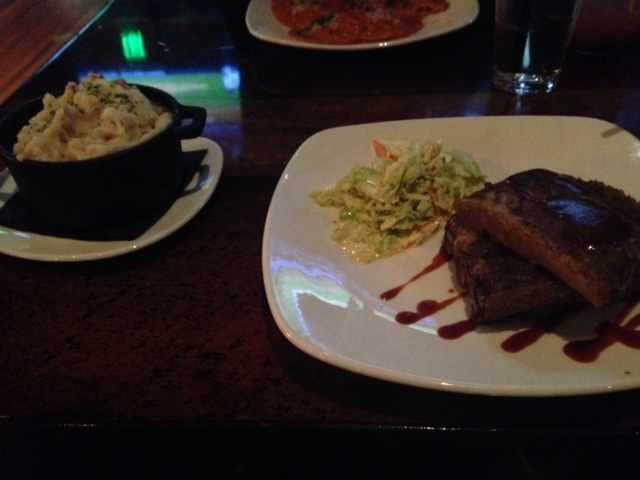 He said sure, “I can eat anything, I said me too!” As soon as I said it, I swear my stomach growled. I immediately felt guilty and went back to my desk to look at their menu. I started screaming to myself, “Why of all places would you agree to go to an Italian restaurant, what can I eat there?!? !” Looked at their menu and found a salmon and avocado sandwich, my best option, I was relieved and ready to go. We arrived at the restaurant and the waiter mentioned to please let her know of any food allergies and we do have a gluten free menu . . . . I bit my tongue. 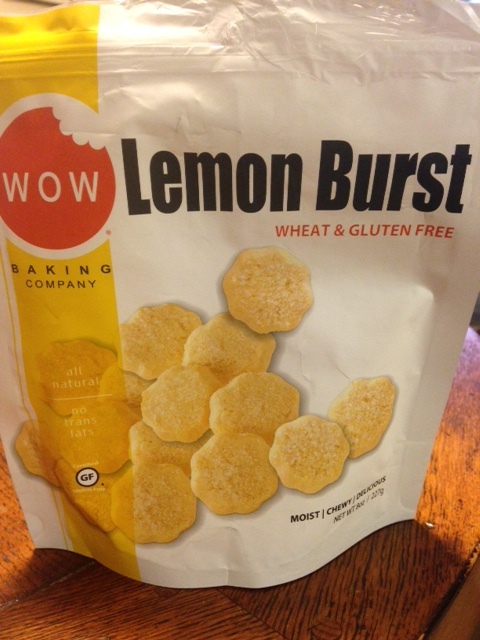 I didn’t want it to be a conversation starter as to why I’m eating gluten-free food, such conversation could lead to me revealing my illness . . which I am still uncomfortable with telling my co-workers. I ordered the salmon sandwich and was grateful the salmon was grilled. As a side, I had potato wedges which I thought would be risky but stuck with it. Why is eating so hard?!?!?! Honestly, I haven’t been eating the healthiest lately, barely cooking due to fatigue and I chose to stop eating gluten-free bread. It’s such a waste of money for those tasteless little pieces of bread. So I’ve invested in artisan bread which thankfully my body has accepted. I’ve also discovered I can eat cheddar cheese and been consuming it like it’s water. The predinsone makes me want to eat everything in sight so I’ve been bingeing on bread and cheese because it fills me up. My guilty snack lately has been nachos . . I know the worst!! but it’s not what you think. It’s corn tortilla chips, pico de gallo, and medium cheddar cheese. It doesn’t bother my stomach . . so I love it, but I can imagine my blood pressure from all the salt. I’ll see my GI in a month, should be interesting. New Chapter . . .
Today was Day 2 at the new job and its weird because it feels like I’ve been at the job a lot longer. A friend said, “Wow you must feel really comfortable there” . . I guess I do. I’ve met some pretty cool people so far and I’m not complaining for once, it’s a good thing. The bathroom situation is not the greatest. There are multiple restrooms but only two stalls in each , so grateful I have my poop-purri. Luckily my cubicle is very close to the restroom and it’s not very obvious if I go multiple times. I was very surprised to hear multiple people discussing their special diet. On the first day, one of my team members stated how her sister-in-law has celiac disease, and I chimed in and said how I’m on a gluten-free diet, which I regret . . Of course the next question is, do you have celiac disease? 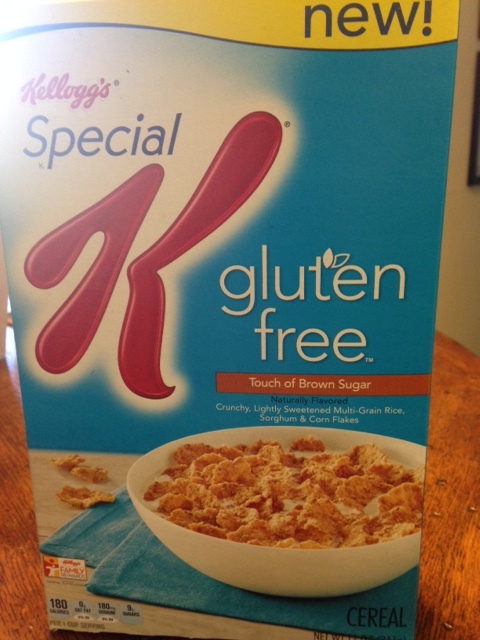 Why are you on a gluten-free diet? . . . ummm. . . I discovered gluten irritates my digestive system. . . . Idk why I’m comfortable telling the blogosphere about my disease but not my new coworkers. I just feel like it’s not the right time, but it is comforting that they are understanding of people who have a special diet. I believe if I have that conversation about my IBD I will have to discuss my hospital stay, and I don’t want to tell my boss I was in the hospital for 5 days 4 months ago . . .Idk I’ll leave it be, when the right time comes I’ll talk about it. Choosing my new benefits was a challenge. With this new job my medical benefits come out of my check, of course my first choice was the cheapest insurance. But I had to grow up and tell myself, “Krystal you have a chronic illness, be smart” The most expensive plan is taking more money out of my pockets now, but will save me a lot in the future. Hopefully I’ll be in remission next year, fingers crossed. FODMAP Diet challenges – Weeks 7 & 8 . . . .
For weeks 7 & 8 I was given challenges and if I was successful, I could incorporate another high-FODMAP item back in my diet, so exciting! I wrote all my challenges for the past 3 weeks on a piece of paper and of course I misplaced it! My challenges for the past few weeks are all from memory, I hope I did it right . . .
1st week – Add aged cheeses to your diet, if no bad symptoms move to next challenge. My choice was cheddar cheese and I ate it almost everyday. No tummywoes! Week 3 – If pizza was a success, try ice cream. 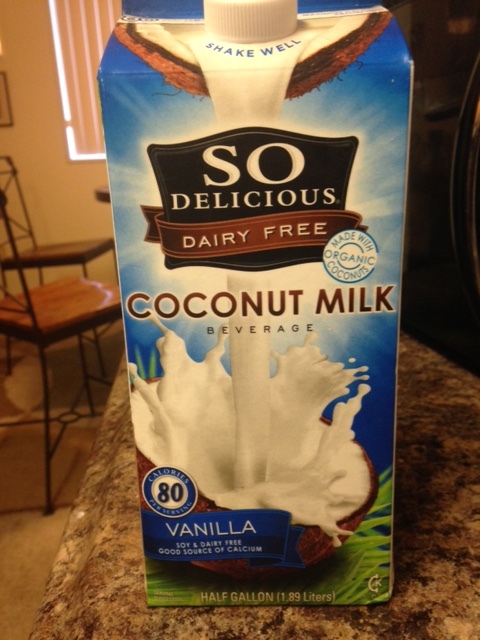 I have not tried this challenge because I have grown to love dairy free coconut milk ice cream. I prefer coconut milk ice cream from Trader Joes, don’t feel the need to buy Breyers. Week 1 – Cherries. Cherries are one of my favorite fruits and to discover that they are high-FODMAP I was surprised. It was a wonderful coincidence during this week a co-worker brought in a big bag of cherries and I ate half the bag. Unfortunately, after eating the cherries I had gas and minor bloating. Since I did not successfully pass this challenge, I skipped the next challenge for week 2. Week 3 – Kiwis. I believe my memory has failed me. I swear Kiwi was my next challenge, but looking it up in my FODMAP app, kiwi is a low-FODMAP item so I could have been eating kiwis all this time. Oh well! I added kiwis to my diet by adding it to my strawberry banana smoothies, pretty tasty and no tummywoes. Week 1 – mushrooms. I bought raw mushrooms and added them to my sandwiches, salads, and pastas. No stomach issues! Glad to have mushrooms back in my diet. Week 2 – onions. Cooked onions did not bother my stomach, but consuming raw onions gave me gas and a lot of belching. Since I did not pass week 2 challenge, I did not move forward with the next challenge of avocado!! Such a bummer. It’s been great adding things back to my diet. I look forward to updating my nutritionist on the immense progress of my gut in the past 8 weeks. I enjoy eating again! 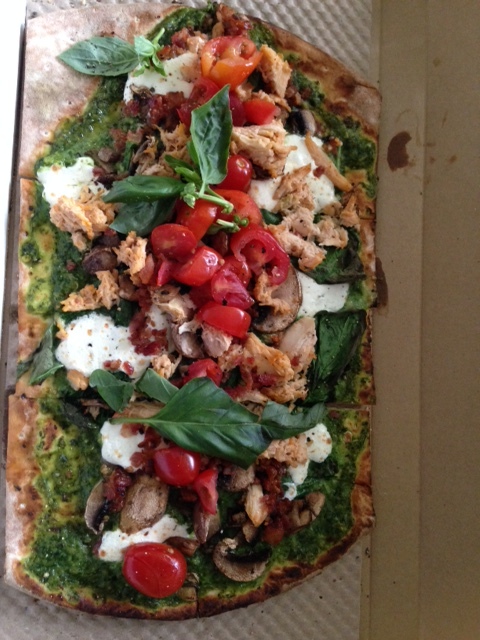 FODMAP diet weeks 5 & 6 . . . In the past couple of weeks I have basically been eating the same things so I will only list my newest additions. Drinks – I realized I have never mentioned what I drink since starting this diet. I have tried to eliminate soda and juice cocktails from my diet, but of course it’s easier said than done. In regards to juice I have drink pure cranberry, grape, or pineapple juice. Cranberry cocktail is NOT pure cranberry juice because it contains many other fruit juices including apple juice. Alcoholic beverages is something new I’ve added to my diet because the past couple of weeks have been stressful! I stick strictly with dry wine (pinot grigio, sauvignon blanc) and vodka. I have had cocktails where the only type of liquor is vodka and avoided juice and fruit flavored vodka that was not FODMAP friendly. So watermelon juice or flavored vodka is a NO. In my social outings I have had only 1 drink and I was fine, no tummywoes. Smoothies – Being completely dairy free for the past 6 weeks has been difficult for me because I was a smoothie junkie. However, I have figured out a delicious alternative, key ingredients are a frozen banana and vanilla flavored coconut milk. I had a pineapple, banana, coconut milk smoothie and it was delicious! No need to add sugar, just popped those three ingredients into a blender and it tasted better than a smoothie you can buy. I also tried the same recipe with strawberries and raspberries, got the same result. The frozen banana provides the creamy texture that yogurt usually provides. Soy Sauce – I love sushi and to completely eliminate it from my diet is a joke, so I have cheated. But you can’t have sushi without soy sauce right? WRONG! 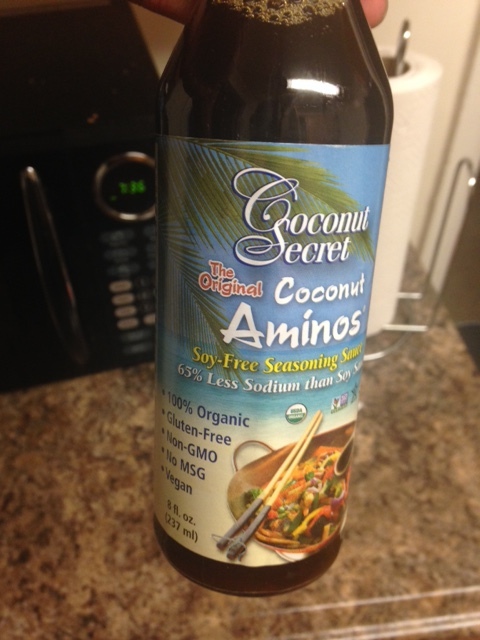 I found an alternative called Coconut Aminos that I could only find in Whole Foods market. I will admit it does taste sweeter than regular soy sauce, but adding a little wasabi to the sauce did the trick for me. Saute the sweet peppers and chopped tomatoes in olive oil for about 3-4 minutes or until peppers start to soften. Toss in tofu, add salt/pepper, cumin or turmeric seasoning to your liking and stir like you’re cooking scrambled eggs for about 2-3 minutes. In a separate pan heat gluten-free tortilla with butter for about 4 minutes or until tortilla starts to brown. The dish came out pretty tasty, but I did not have a bowel movement for a day. When I told my nutritionist she said, “Krystal you freak out about soy in skittles but you eat tofu?!? Tofu is made from soy, that’s probably why you had mild constipation” . . OMG! I felt like an idiot lol . . . . . 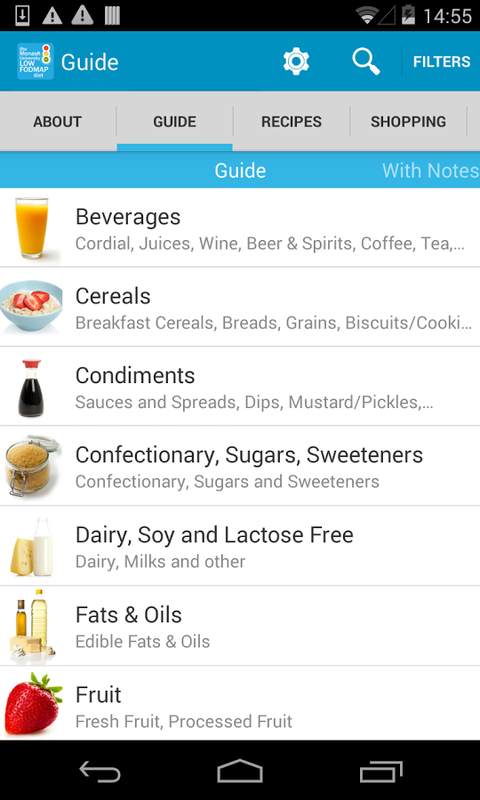 But, according to my FODMAP app (I highly suggest everyone to download), it said tofu was FODMAP friendly. So in regards tofu, to each its own. I discovered tofu is not good for me. FODMAP Diet Week 4 – Travel . . . .
Week 4 of my FODMAP diet was out of my control because I was on vacation. Beforehand, I knew it would be a challenge and it was, but not bad. Travel day was difficult, having a flight departing at 5:15 am is not a pleasant experience, but at least we had a layover where I could eat breakfast in order to take my meds. I thought buying a plain bagel, banana, and a bottle of water from Yogiberry would be safe. But right after eating, I went to the bathroom several times and had stomach pains that I have not had in months. I requested a plain bagel with butter and they provided me with the butter packets, so I assumed it was safe but maybe my symptoms were more UC related than my diet. Either way, it was the best option in the airport. Once we arrived at the hotel it was lunch time and I was starving. Thankfully my vacation was in San Diego and seafood is everywhere. 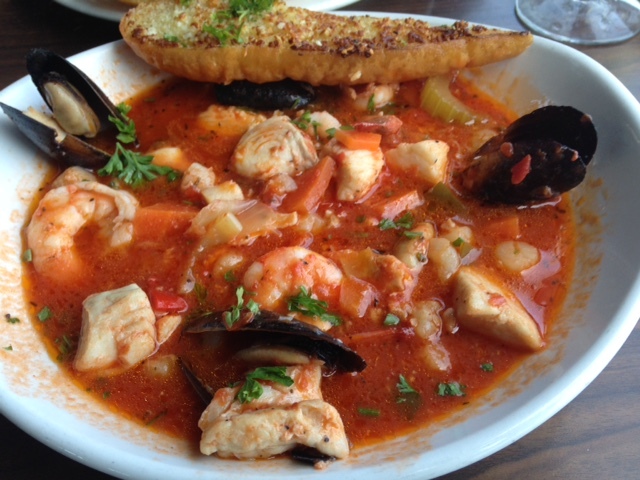 For lunch I ordered Cioppiono Seafood Stew, absolutely delicious! Cioppiono is a tomato broth stew with shrimp, white fish, mussels, squid, and any other type of seafood. I did not have visible onions in my stew but I’m pretty sure onion and garlic seasoning was used, and honestly I didn’t care in the moment lol The only negative was that it was served with garlic toast which smelled wonderful!! but I did not touch, just pushed it to the side. I had no tummywoes from this meal. For dinner I had chicken fajitas with corn tortillas, refried beans, and rice, I avoided the beans. Our hotel provided a complimentary hot breakfast every morning and since there were not many options, I had the same meal everyday. Whatever cooked meat (ham was my preference), scrambled eggs that had no seasoning, and a bowl of regular instant oatmeal with a glass of water. I purposely ate this meal at least two hours before we were out for the day just in case I would have any stomach issues. Surprisingly I did not, and it was a good meal to start a very active day. In regards to snacks I bought plain almonds, blue corn tortilla chips, organic granola chocolate chip bars, and drink lots of water. One of my biggest fears was visiting tourist attractions such as Sea World and the San Diego Zoo and figuring out what can I eat that will not bother my stomach when I will only have access to public restrooms. Sea World was significantly better in providing healthy and allergy free food options. At Sea World we ate at the Shipwreck Reef Cafe, there were many signs stating how items were gluten, nut, and soy free. So I ate happily by ordering lemon thyme rotisserie chicken with baked potato chips and a cup of fresh strawberries for desert. I had no tummy issues all day, it was great! Overall, my vacation wasn’t bad in the eating department. I felt like I always had options and I allowed myself to cheat if needed. The one thing I learned is that eating in an airport is difficult because options are so limited, I highly recommend eating a meal before going to the airport. 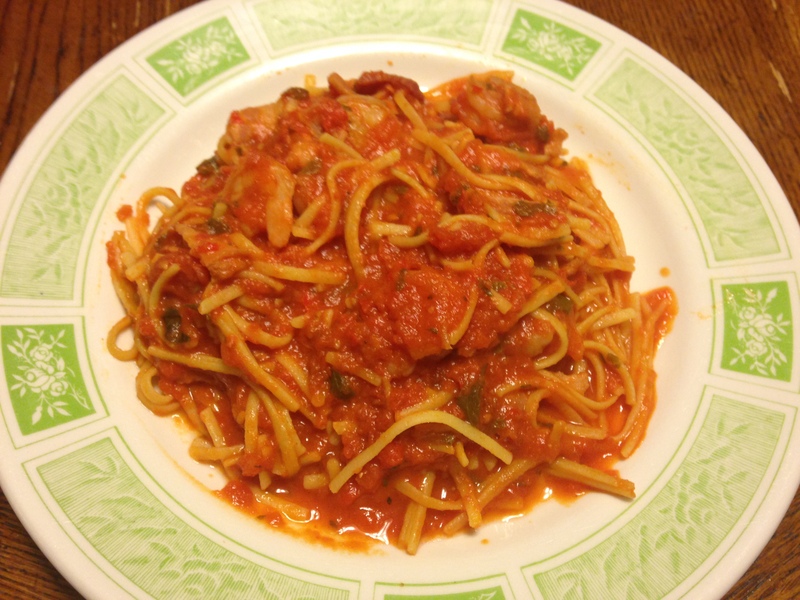 FODMAP Diet Week 2- My recipes . 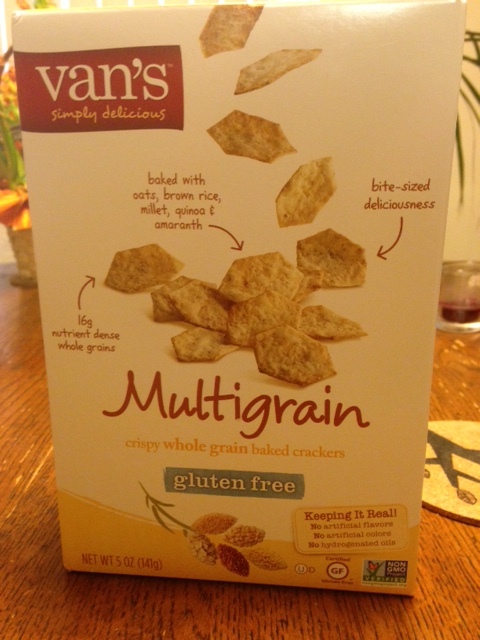 . .
FODMAP Diet week 2 was a little easier. I decided to be adventurous by making a shrimp, bacon, and tomato based pasta. It came out sooo well, I had to pat myself on the back. All ingredients except for the tomato paste, bay leaves, and sugar were put into a blender. After my sauce was blended I put in a pot, added the bay leaves, and let simmer for 30 minutes. I eventually added the sugar. Sauté bacon in garlic olive oil, cook for 5-7 minutes (I like my bacon crunchy). Add in shrimp, a splash of balsamic vinegar , salt/pepper, fresh basil and cooked the concoction for another 3-4 minutes until shrimp is pink. Once done add the bacon and shrimp to the sauce and include a little bacon juice :). 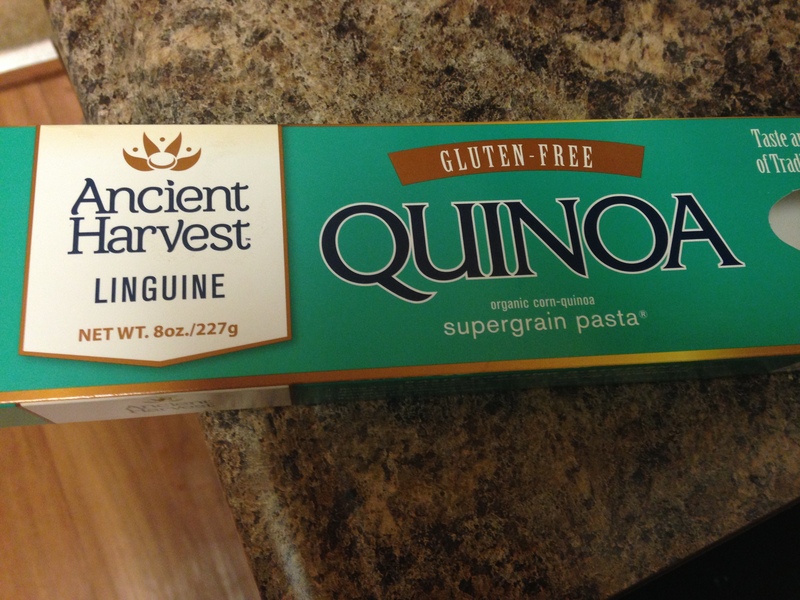 Stir and served over quinoa linguine. Gluten-free pasta is something I will never like lol so I was grateful that I had ample sauce, but below was the brand I used. Unfortunately, the pasta only lasted over the weekend 😦 So for the week I baked a turkey breast with the leftover fresh herbs I had (basil, thyme, sage, oregano) and stuffed it under the skin. As sides I cooked white rice and green beans. 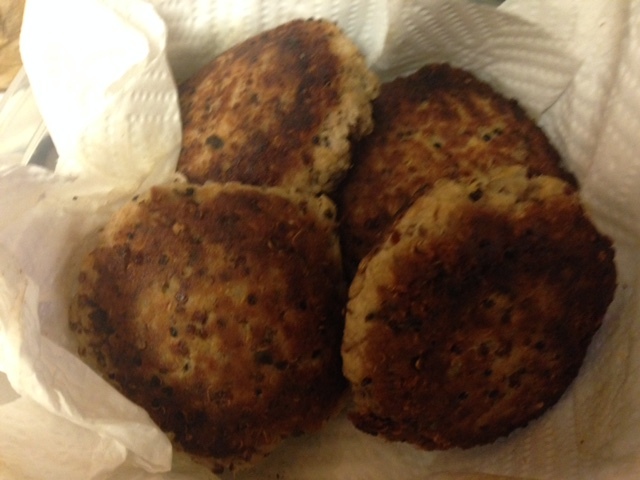 Left over turkey made some tasty, gluten-free turkey sandwiches with dijon mustard, yummy! 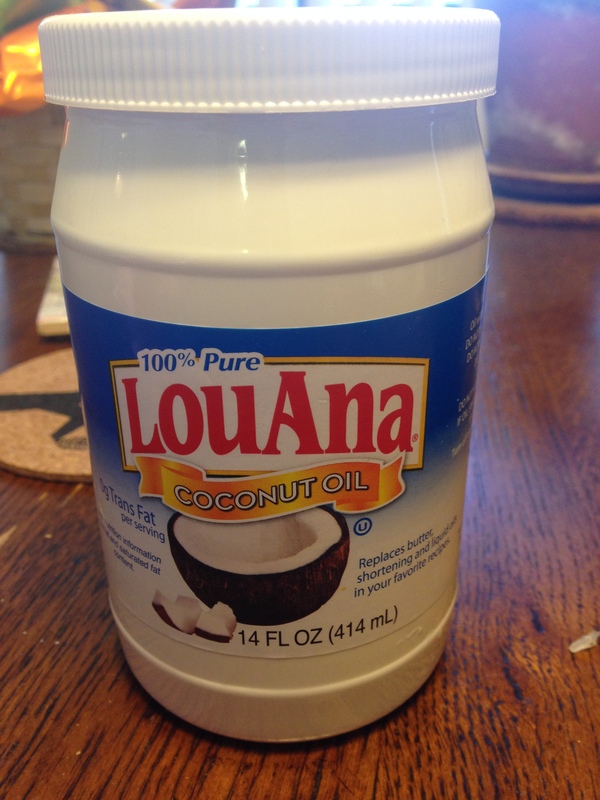 I stated how I’ve been cooking with so much butter and salt she suggested to substitute the butter with coconut oil. So I found the brand below at my local Giant. Also, I found some treats! Check it out below, all found at my local Giant or Food Lion grocery store. So far week 3 has been a struggle 😦 I’ll give an update next week. 1 gluten, soy, wheat free cinnamon raisin bagel with butter. 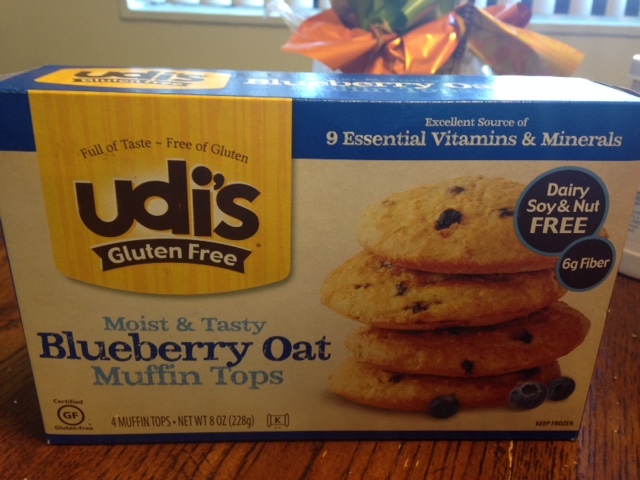 – Udi’s http://udisglutenfree.com/ is the brand I bought, pretty tasty. 1 bowl of Steel Cut Oats with cinnamon, sugar, coconut milk, strawberries, and banana. 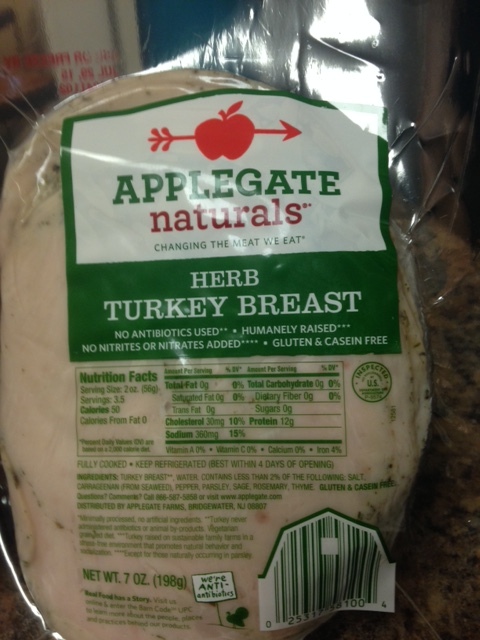 I blended the fresh herbs, lemon juice, oil, salt/pepper to create a paste to put under the skin of the chicken. Baked the chicken at 375 degrees, 20 minutes per pound of chicken. I added the leftover lemon, potatoes, carrots and butter to the baking dish in the last hour. 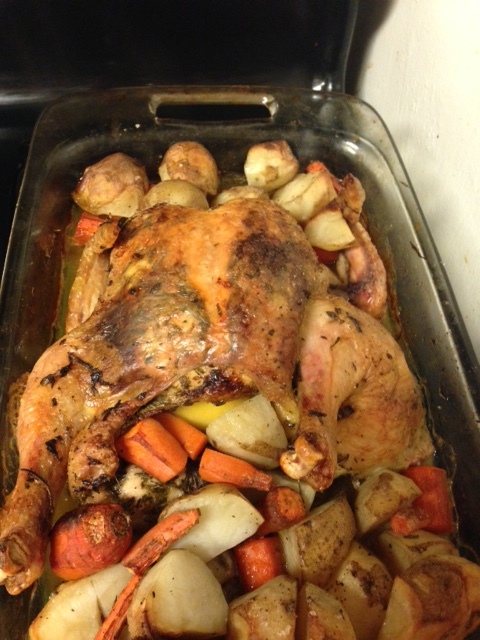 Chicken came out pretty tasty and the meat fell off the bone, but I will admit the garlic/onion was missed. I’ll use more herbs next time. Looking forward to the challenge of week 2 and have a follow-up with my nutritionist next Friday.